The International Philosophical Organization New Acropolis has recently launched a website dedicated to World Philosophy Day. The site is available in English and Spanish, although some articles will also appear in other languages, such as French or Portuguese. 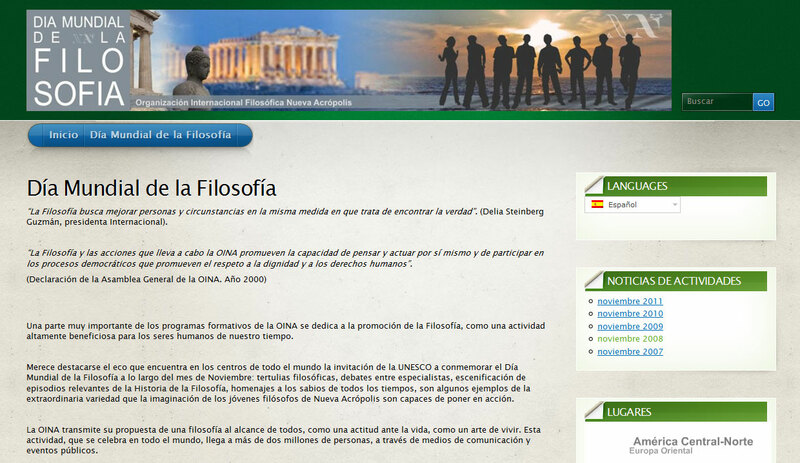 This website features information about some of the events organized by New Acropolis around the world in celebration of World Philosophy Day, which is an initiative of UNESCO that has been taking place on the third Thursday of November each year since 2002. Since a significant part of OINA’s educational programs are dedicated to the promotion of philosophy, it was natural that from the outset our organization would organize hundreds of activities in celebration of philosophy as a way of life, an enriching element for all human activity.